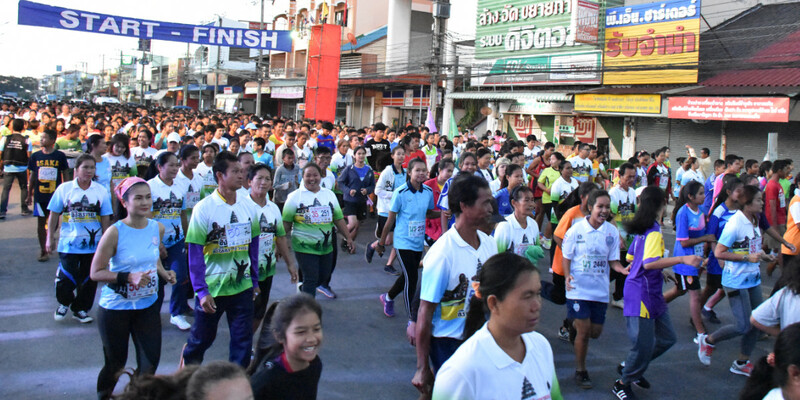 Early this morning, Phimai town hosted some road races; 10.5km, 5km and a 4km fun run. Runners waiting at the start line. 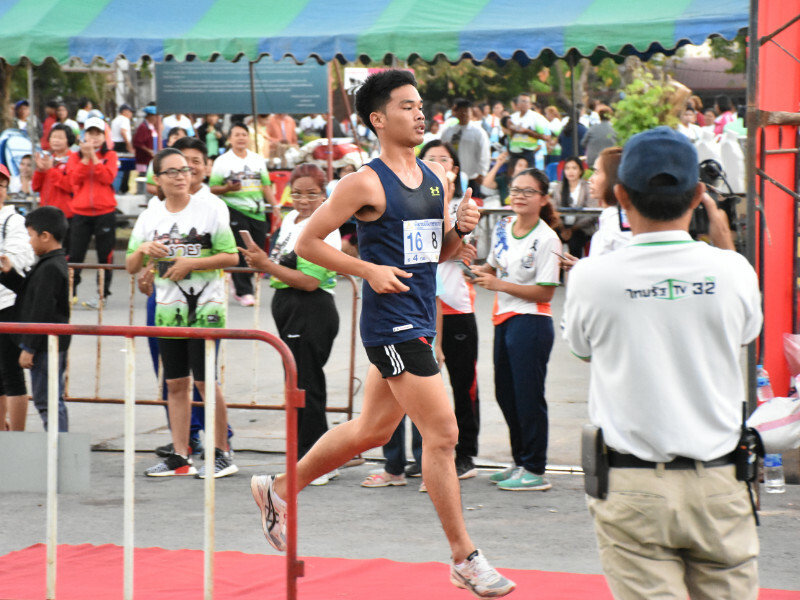 Sprinting for the line in the men’s 10.5km race. 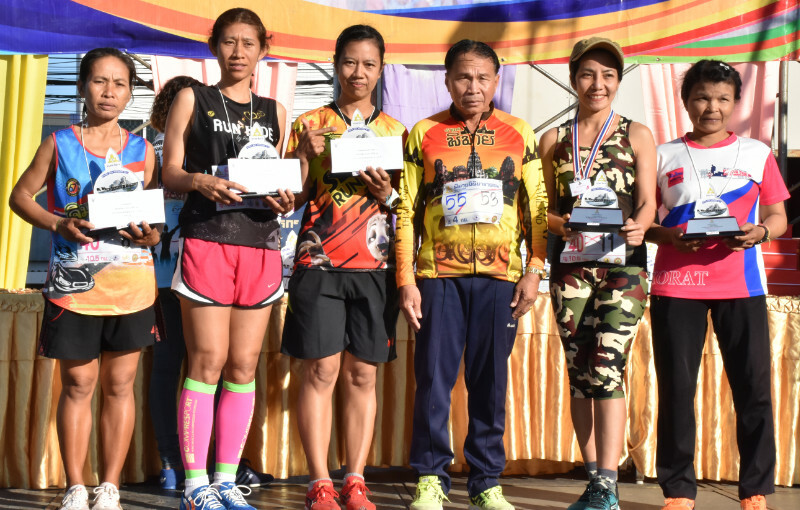 Below, winning the 4km fun run. 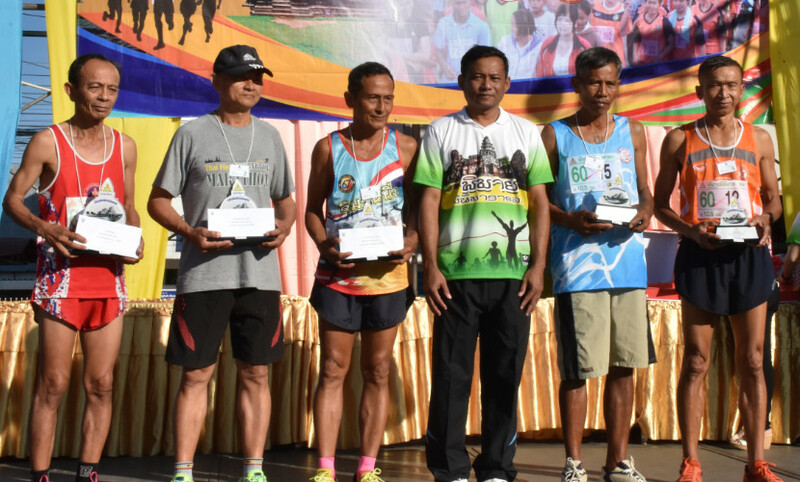 Below, winners receiving their prizes. 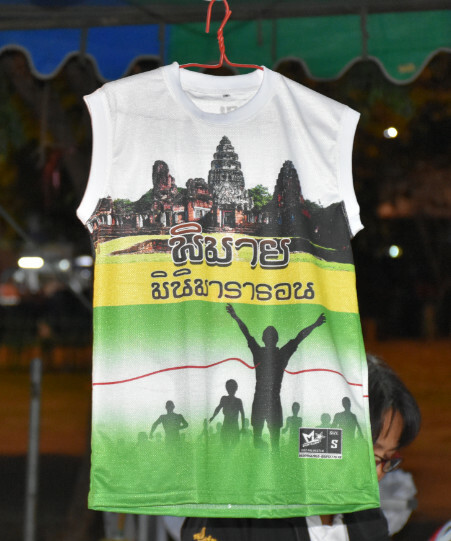 Free T-shirt for the runners included in the price of entry. 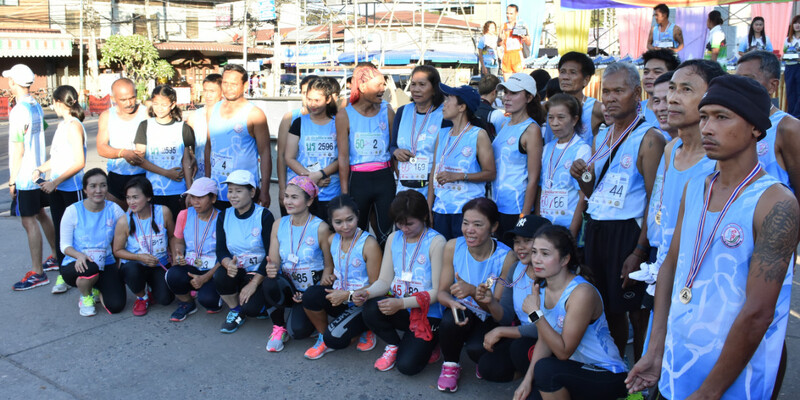 Phimai running club members gather for a post-race group photo. 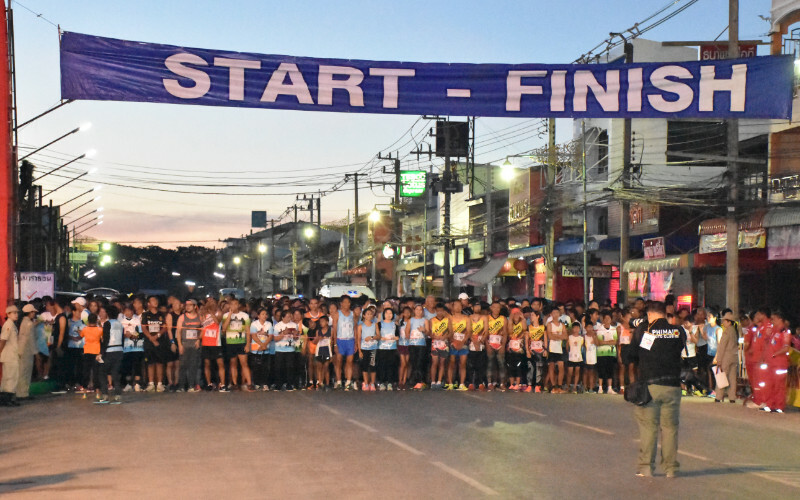 This year the races start from Tao Suranaree school at 6am. 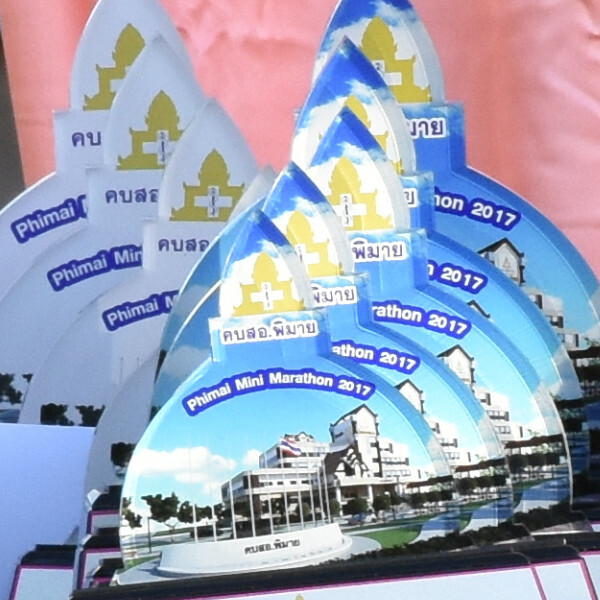 Map showing the location of the race start at Tao Suranaree school, Phimai. 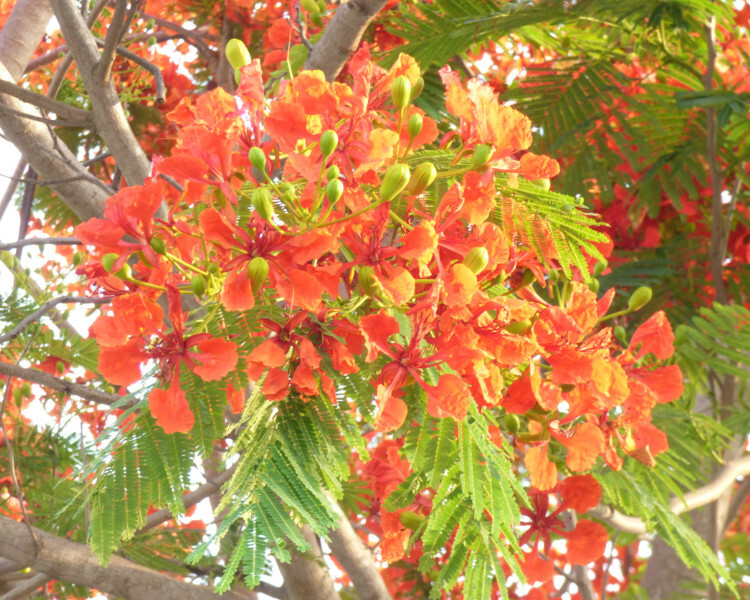 One colourful tree that has been in bloom in Phimai this month has been the Royal Poinciana (Latin: Delonix regia /Thai: หางนกยูงฝรั่ง – peacock tail), also called the flamboyant tree or flame tree due to its large bright red/orange/scarlet flowers. 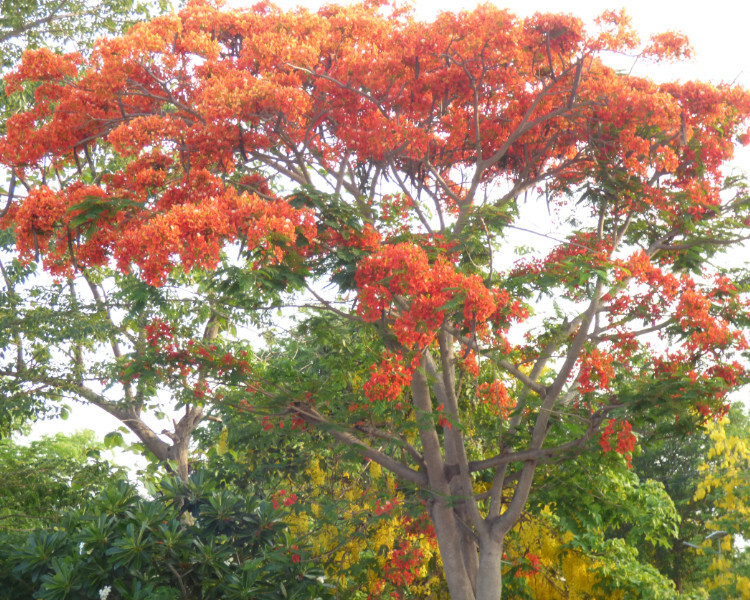 This particular flame tree can be found growing in the area near the Banyan Tree. A cluster of brightly coloured flowers. 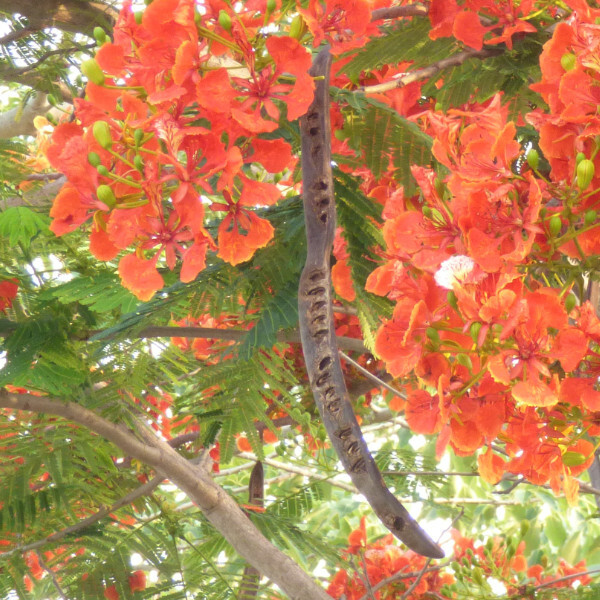 The above photograph shows the fruit of the tree – a long woody legume. 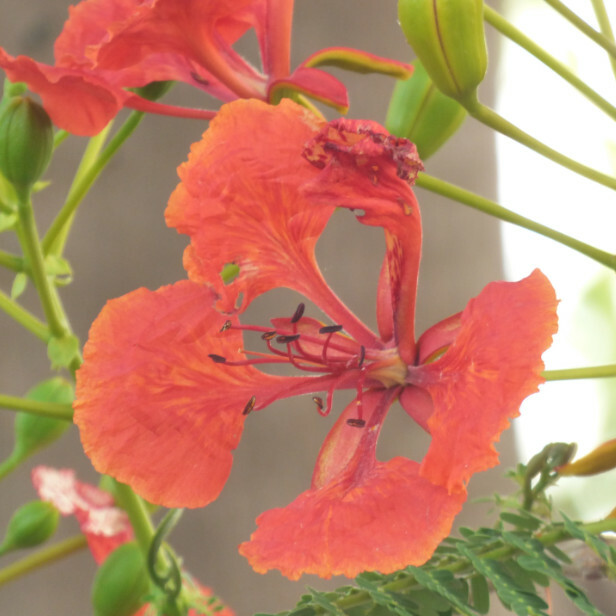 A flower of the flamboyant Royal Poinciana tree in Phimai, Thailand. 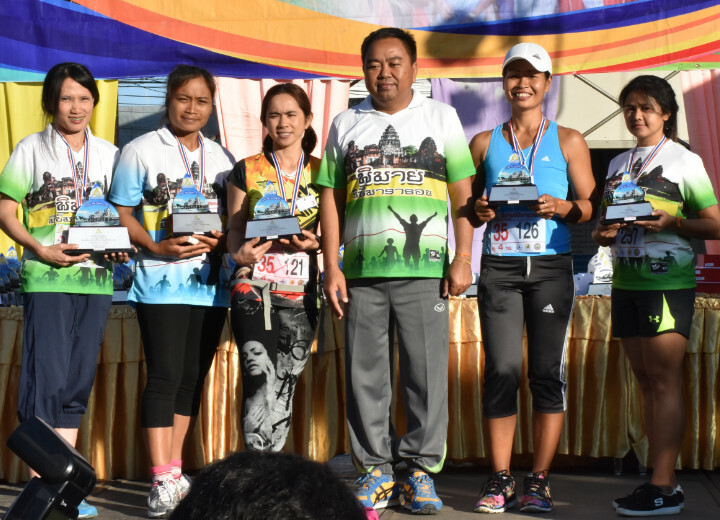 There are now four gyms in Phimai town and they are located quite close to each other. 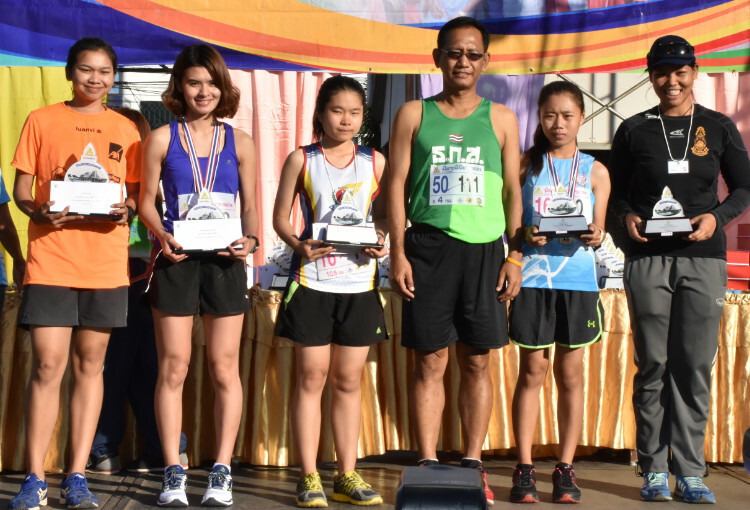 MJ Fitness is located on Anantachinda Road, at the junction with Soi Sangat-pattana. 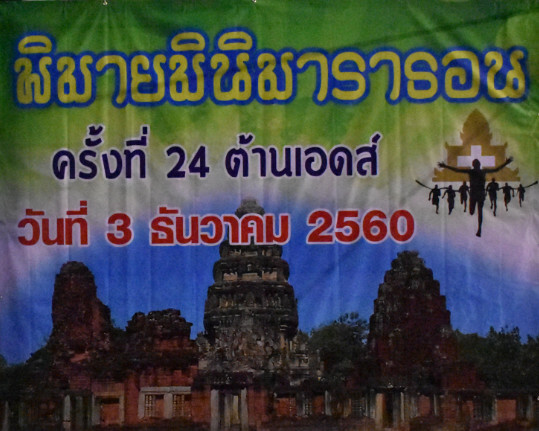 It’s about 250m from Phimai Medical hospital. MJ Fitness is open from 9am to 10pm. It costs 50 baht per day, 799 baht per month. 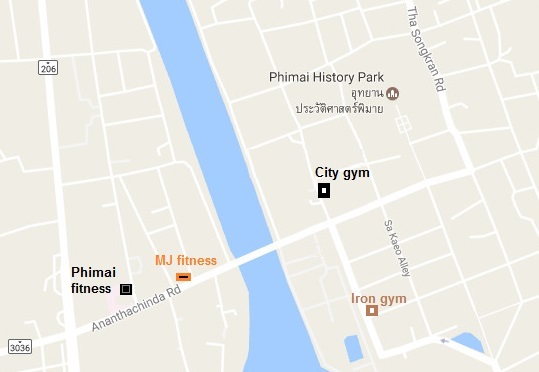 Phimai Fitness is located in a small road adjacent to Anantachinda Road. It’s about 100m from Phimai Medical hospital. 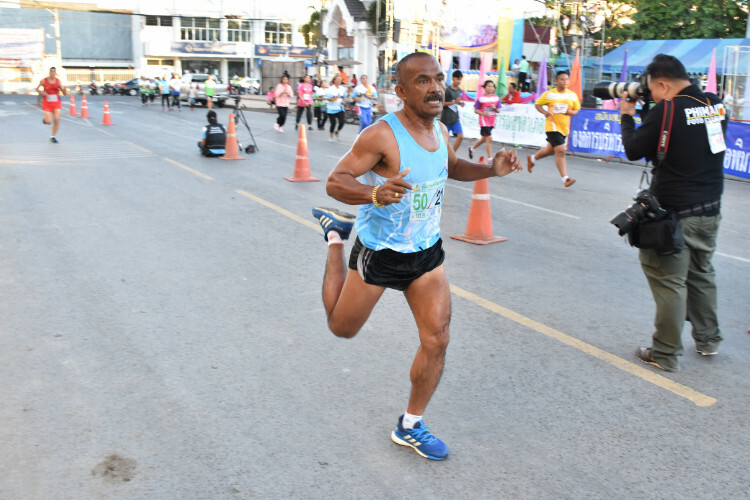 Phimai Fitness is open from 11am to 9pm Mon to Fri, 12pm to 7pm on Saturdays. It costs 40 baht per day, 100 baht for 3 days, 495 baht per month. Iron Gym is located opposite the old cinema, at the junction of Haruethairom Road and Suriya-atsadong Road. The entrance is on Haruethairom Road. Iron Gym is open from 10am to 10pm every day. It costs 30 baht per day, 690 baht per month. 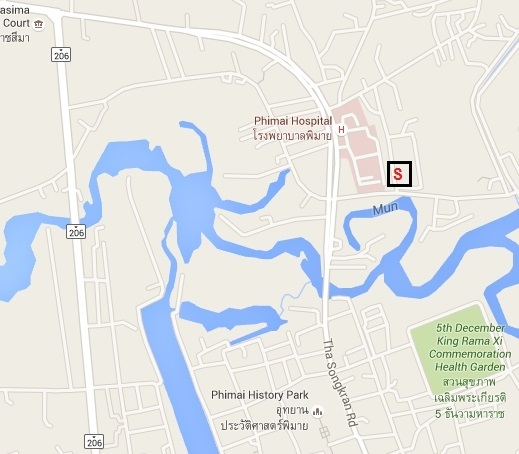 City Gym is located on Suriya-atsadong Road, about 400m from Iron Gym. City Gym is open from 10am to 9pm every day. It costs 40 baht per day, 699 baht per month. 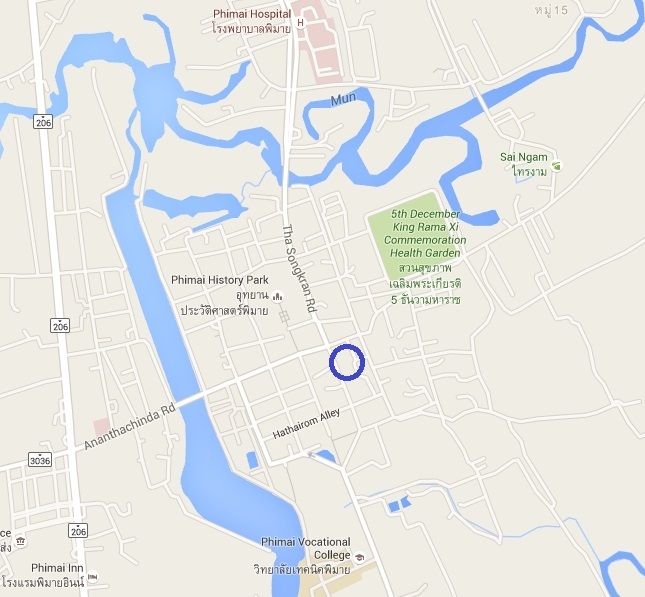 Location map of gyms/fitness centres in Phimai town. 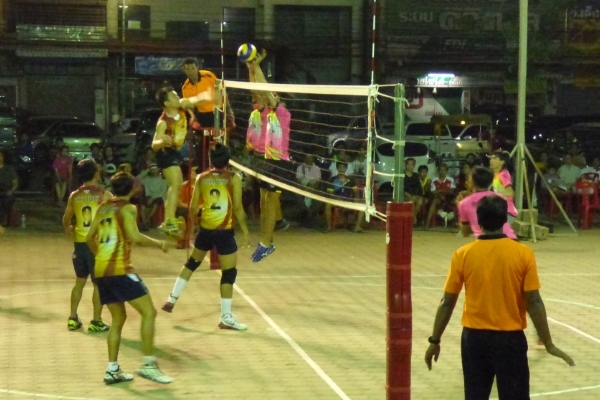 This week sees the return of of the annual volleyball competition in Phimai town, which is organised by the local government (tetsaban tambon Phimai). 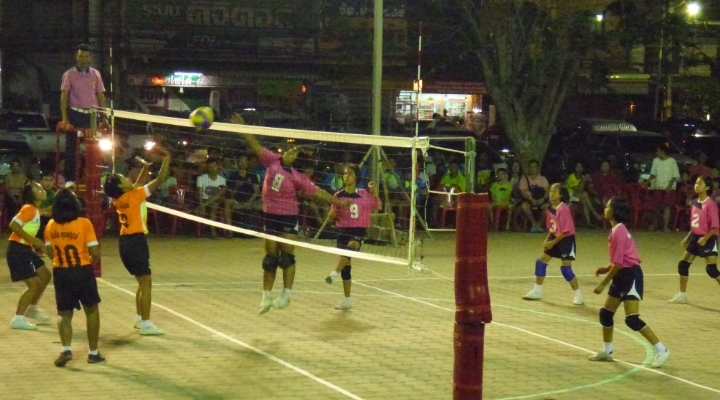 The volleyball court is set up in the town centre at laan mayn-promatat, the area of land beside the town clock. The matches are scheduled to start at 5.30pm and go on until quite late in the evening. The competition this year takes place between the 18th and 26th of April 2017. Location map for the Phimai volleyball competition, April 2017. 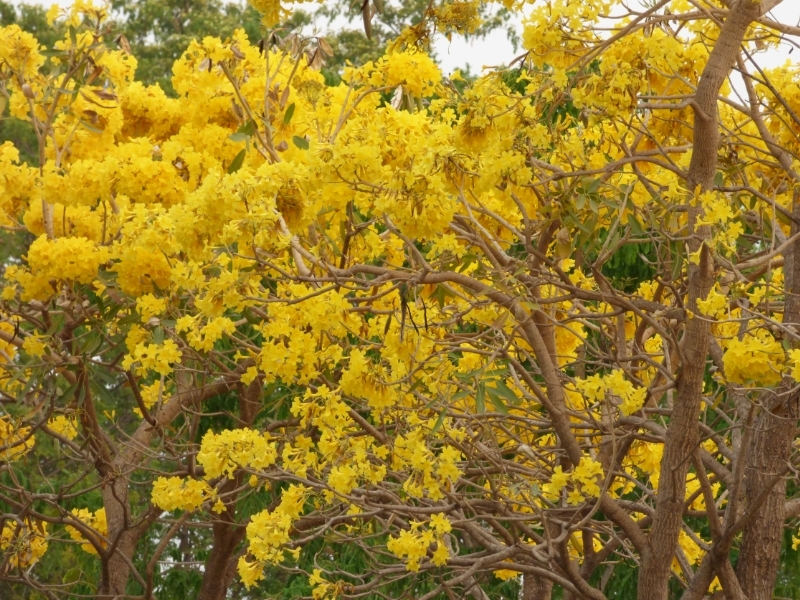 One of my favourite plants in bloom in Phimai in March this year has been the Silver Trumpet Tree (Tabebuia argentea / เหลืองปรียาธร). 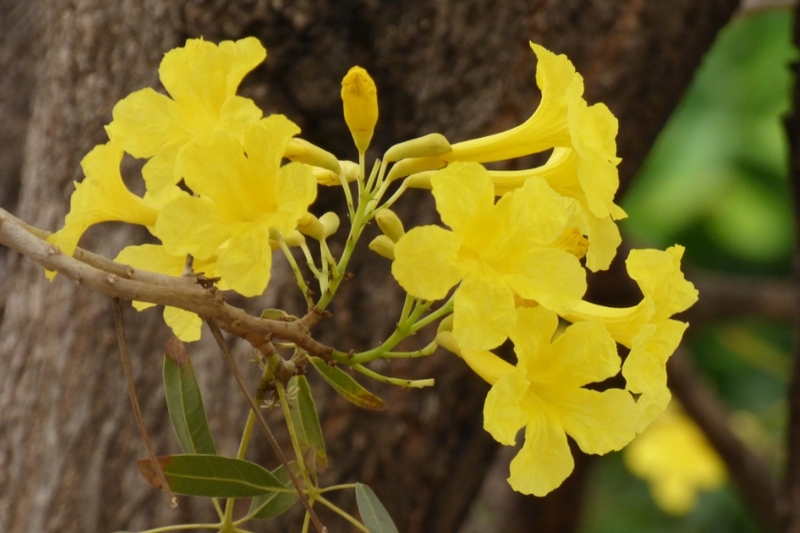 Some of the trumpet-shaped blooms on one of the trees in Phimai. Silver Trumpet trees in Phimai. 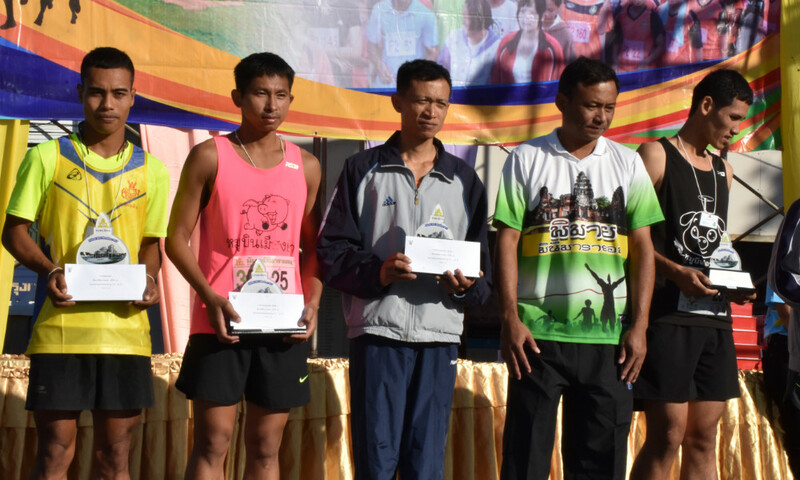 This weekend sees the start of the annual Phimai Cup volleyball competition in Phimai town, organised by the local government (tetsaban tambon Phimai). The volleyball court is set up in the town centre at laan promatat, the area of land beside the town clock. The matches are scheduled to start at 5pm and finish around 9pm. 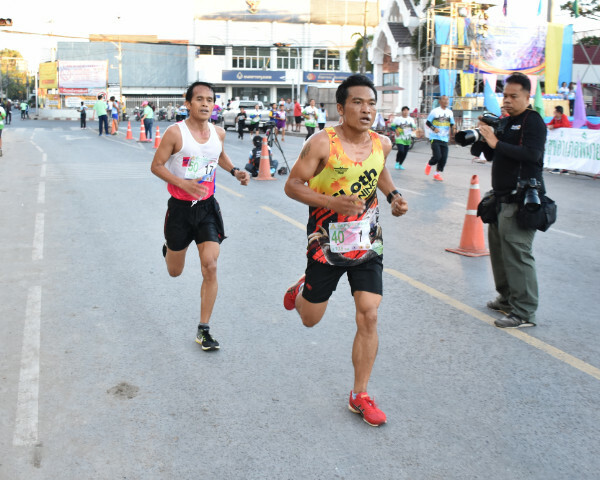 According to the advertising sign above, the competition takes place over 11 days, from 19 to 30 March. However, information from the local authority has the last day as Sunday 27 of March. Location map for the Phimai Cup volleyball competition. 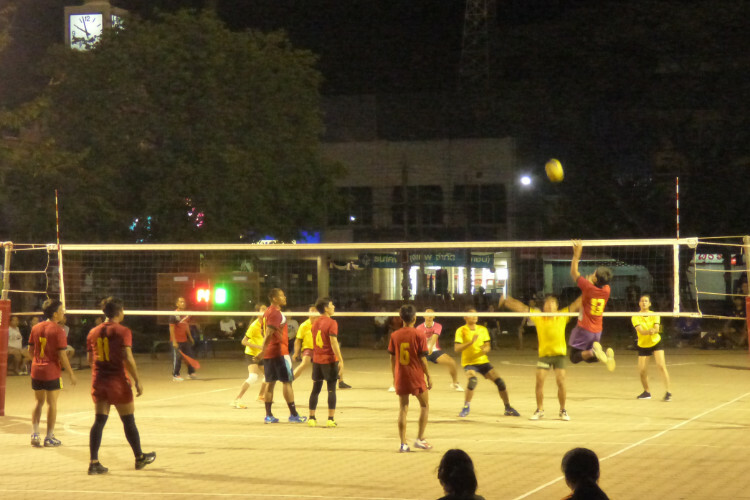 Action from the Phimai Cup volleyball competition – men above, girls below.